You've heard it before: It takes two to make a thing go right! And by "a thing," we mean "a snack." And by "go right," we mean "be delicious and low in calories." 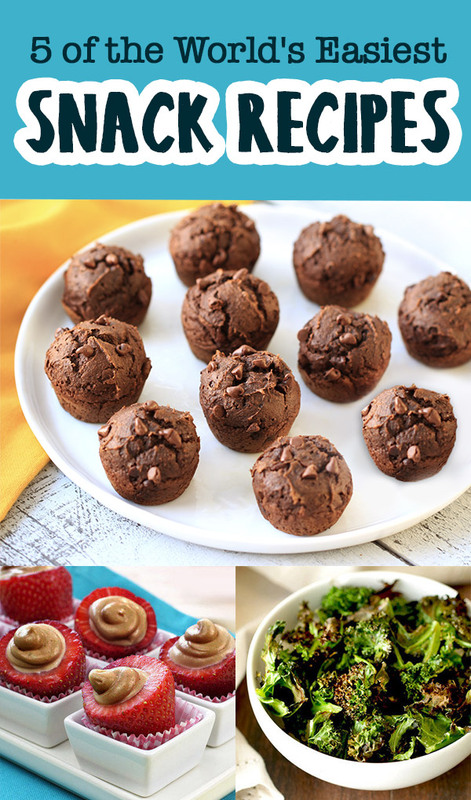 Read on for the easiest snack recipes around! Don't limit scrambled eggs to breakfast... They're fantastic as a protein-packed snack! And you don't even need a skillet. 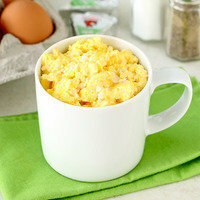 In a large microwave-safe mug sprayed with nonstick spray, microwave 3/4 cup (about 6 large) egg whites or fat-free liquid egg substitute for 1 1/2 minutes. Mix in 1 wedge The Laughing Cow Light Creamy Swiss cheese, or your light cheese of choice. Microwave for 1 more minute, or until set. Stir it up, and dig in! 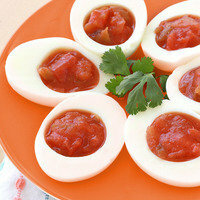 Feel free to top it off with hot sauce, salsa, or your favorite egg-topping condiments. 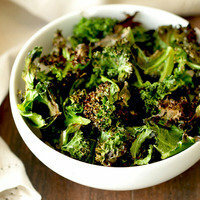 Don’t be fooled by store-bought kale chips loaded with oil... These DIY veggie chips are borderline life-changing! So much crunch for so few calories. Just preheat your oven to 425 degrees, and spray a baking pan with nonstick spray. Place 3 cups fresh kale leaves on the sheet, spritz with nonstick spray, and sprinkle with a dash of salt. Bake until crispy, 5 - 8 minutes. How simple is that?! You're about to find out how easy it is to get delicious brownie bites into your life (and your mouth). Preheat your oven to 400 degrees, and spray two 24-cup mini muffin pans with nonstick spray. In a large bowl, thoroughly mix 1 box of moist-style devil’s food cake mix (15.25 - 18.25 oz.) with a 15-oz. can of pure pumpkin. (The batter will be thick.) Evenly distribute batter into the muffin pans, and smooth out the tops. 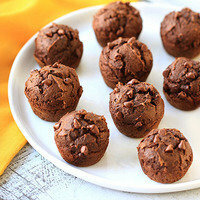 (Optional topping: Lightly press a few chocolate chips into the batter before baking.) Bake until a toothpick inserted into the center of a muffin comes out clean, about 8 minutes. Voila! HG tip: Once cool, wrap and freeze the leftovers for quick heat 'n eat treats! We're gonna teach you a trick that looks fancy but is incredibly easy to execute. Slice the stem ends off 6 large strawberries, about 1/2 inch below the stems, revealing an opening in each berry. Use a narrow spoon to remove about half of the flesh inside each berry, allowing room for filling. 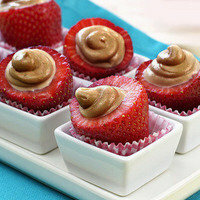 Mix 1/4 cup powdered peanut butter with 2 tbsp. water until thick and creamy. (If needed, add more water 1 tsp. at a time.) Spoon into the bottom corner of a plastic bag, snip off the tip to create a small hole, and pipe the PB through the hole and into the strawberries. It's National Chip & Dip Day, March 23rd. Celebrate with a classic: our beloved Sweet Caramelized Onion Dip! Hello, your buddies might be hungry right now! Click "Send to a Friend" ASAP.